Johnson County Fairgrounds, 250 Fairground St. 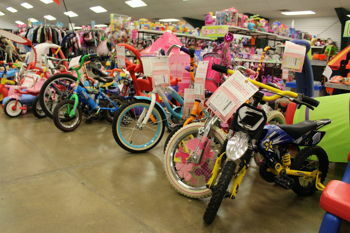 The organizers pack out two expo halls with more than 40,000 kids items from more than 200 families. Earn cash on your kid's outgrown items, stock up on the things they need now at a fraction of retail cost. Plus, help support local families in our own community. Hours are 9 a.m. to 8 p.m. Thursday and Friday; and 10 a.m. to 5 p.m. Saturday. Most items are half off on Saturday.